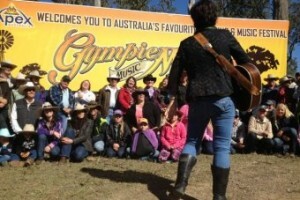 It’s time again for the iconic Gympie Music Muster. 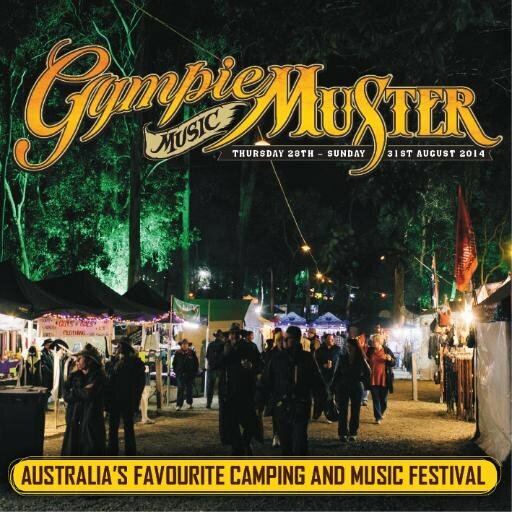 Beautiful and normally peaceful Amamoor Creek State Forest Park provides the perfect setting for this quintessential Aussie event, with over 50 hectares of well maintained, planned camping facilities, plenty of hot showers and toilets, and a central entertainment precinct. Located 40 kilometres south-west of Gympie, it’s an easy 2 hour drive north of Brisbane, just 40 minutes from stunning Noosa and heritage listed Fraser Island. For nearly three and a half decades this event has rocked our little region with some of the best music our country has to offer, and it’s not all country music. There’s also enough food and drink to make one heck of a four day weekend. The event runs from Thursday, 27th August until Sunday, 30th August. Over the course of the past 34 years, the growth of the Muster has enabled the entertainment line up to diversify into an exciting mix of musical and entertainment genres while still maintaining strong country roots. As well as traditional and modern country music, entertainment within 8 venues and many bars include an aural collage ranging from folk, bluegrass, balladeers, gospel, blues, bush poetry, a celebrity guest debate and the momentous competition of the Maton Talent Search where future careers are established. 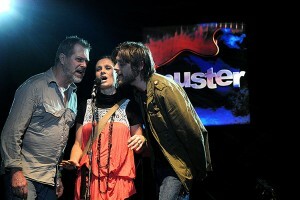 The first round of talent has been announced, chief among them Adam Brand, Mary Chapin Carpenter and Troy Cassar-Daley. Brand, a three time Australian Platinum album and two time Australian Gold Album selling Country artist, with his album ‘Blame it on Eve’ reaching number 10 on the Australian music charts. 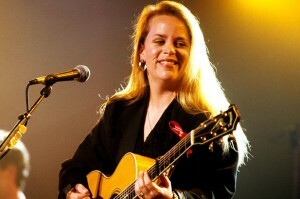 Mary Chapin Carpenter, Nashville Songwriter’s Hall of fame, five time Grammy award winning country artist, who received the Grammy’s Award for best female vocal performance four times consecutively and has sold over 12 million albums as 2015. Troy Cassar-Daley; ‘He released his first EP, Dream Out Loud, in 1994 and was nominated for his first Golden Guitar for Best Male Vocalist the same year. 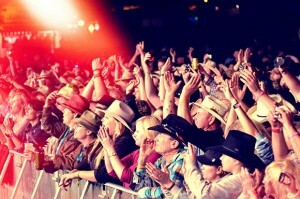 He has won many awards, including the 1995 ARIA Award for Best Country Record, 1996 Best Male Vocal Award at the Country Music Awards in Tamworth, Best Male Vocal at the 2000 CMAA Awards and Song of the Year for “They Don’t Make ‘Em Like That Anymore” and almost a decade’s worth of Deadly Awards. He won the ARIA Music Award for Best Country Album in 2006, and once again won the ARIA for Best Country Album in 2009 for his album I Love This Place’. With plenty of acts from a variety of musical genres there is something for just about everyone’s taste. The Muster is a non-profit event, with all proceeds going towards a range of different causes and since its inception, the Muster has raised more than 14 million dollars for charities Australia-wide. In 1993, Australia was suffering the worst drought on record. The Club decided to commit all funds raised to support the national drought appeal. As a result, the Rural Aid Appeal was initiated. The Appeal annually raises funds for a major charity each year through the sale of compilation CDs and a range of specially designed merchandise. Over the years, Rural Aid beneficiaries have included Diabetes Australia, the Royal Flying Doctor Service, Leukaemia Foundation, Youth Suicide Prevention, VISE (Volunteers for Isolated Students Education), Transplant Australia and the Melanoma Foundation and recently, isolated communities suffering the long-term effects of drought. The event has grown each year, with all profits distributed among worthy charities, both locally and nationally. An ever-growing number of community groups are also involved in the staging of the event, and for most, it is their major fundraiser for the year. 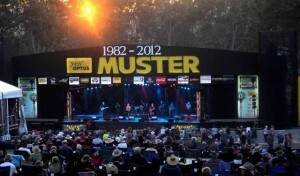 There is a real sense of community ownership in the Muster with now more than 50 local community groups involved in the event’s success. For more information on the line up, ticket prices or accommodation, visit the Gympie Music Muster.